In 1947, Great Britain relinquished to the UN the power to make decisions relating to the status of the Land of Israel. The General Assembly appointed a special committee that collected evidence and decided unanimously that Israel should be granted independence. 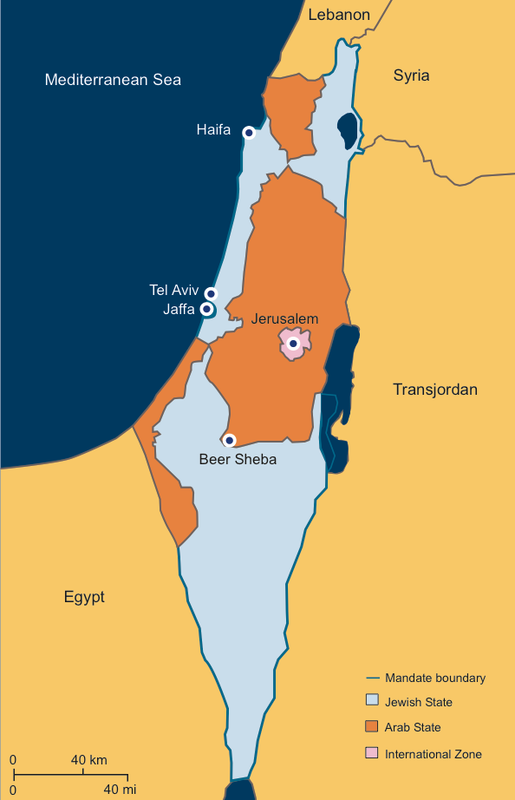 Most of the committee members favored partitioning the land into two states, a Jewish state and an Arab state, with Jerusalem under international supervision. On 29 November 1947, the UN General Assembly accepted the partition resolution, 33 to 13.